Gran Cucina Porcini Mushrooms Cream. 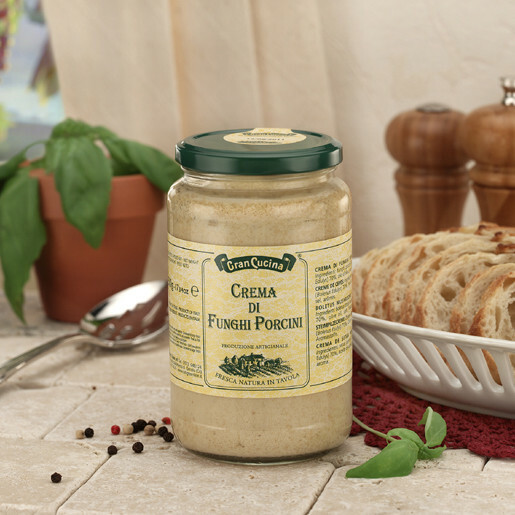 This cream is ideal for risotto and makes a great antipasto, pizza and crepes spread. Gran Cucina Porcini Mushrooms Cream 2.8 oz. Gran Cucina Porcini Mushrooms Cream 17.6 oz.